With Love, From Us… To You 🎶 — Win a Cruise for Two & More! Hey Everyone! It’s been a little quiet around here lately, but we’ve been hard at work at some new stuff we think is going to rock your world & change the way you run giveaways forever. Starting today, we’re delighted to give you a teensy weensy sneak peek of what’s to come. What’s the benefit of running a giveaway? As admins, we know there’s no single answer to that question. Giveaways serve many purposes, and are well-suited for a wide range of goals. Whether you’re causing a buzz for your new product, generating sales leads, growing your audience, collecting feedback, … whatever you’re doing: giveaways are a powerful tool. And as an admin, there’s so much to consider logistically — from prize selection – to scheduling and logistics – to launch checklists, launch-day, post-launch promotion, moderation, audience interaction, and on and on — it’s easy to overlook the best part of giveaways: Making people happy. Contacting your winner(s) is a simple email on your end, but don’t forget: you just made someone’s day! And you’ll make it again when their prize arrives in the mailbox. Giveaways are uniquely powerful at bringing joy into your audience’s daily life. Winning is a rush! So without further ado, I’m stoked to introduce the Rafflecopter #SpreadSomeJoy sweepstakes! One (huge-mongous) Grand Prize – One very lucky someone will win an epic cruise vacation for themselves and a partner. Two Winner’s Choice Prizes – Two others will get to choose between a pair of red-hot items that are topping everyone’s wishlist this year. 10 Weekly Prizes – 10 lovely people will have their day made with a prize we think will bring you a little joy nearly every single day. Picture is for demonstration purposes. Cruise will not necessarily take place on the ship pictured. 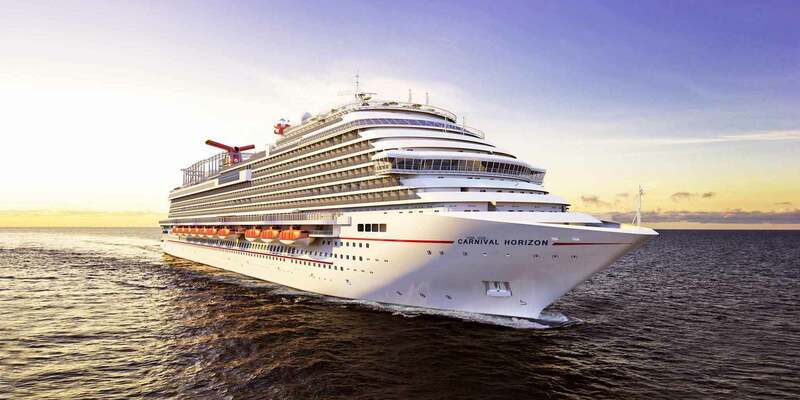 One Grand Prize Winner will receive 2 Carnival Gift cards for $1,000 each, good toward almost any Carnival cruise & any number of on-board luxuries. If you win, you get to choose which one you want. What’s more: every time you enter to win a Winner’s Choice prize, you also get an entry into the drawing for the cruise! It’s a win-win(-win-win-win) situation! Photo is for demonstration purposes. Apple Watch configuration may be different than what’s pictured. Photo is for demonstration purposes. Nintendo Switch configuration may be different than what’s pictured. Enter starting Monday, September 25 @ 6am MDT through Sunday, November 6 @ 11:59pm MDT. As if the grand prize and awesome monthly prizes weren’t enough, every week we’ll be giving away something we think will make your day-to-day life a little better, easier, or more fun. And to top it off… Every time you enter to win a weekly prize, you also get an entry into the drawing for the monthly prize AND the cruise. Huzzah! Willy Wonka will not be one of the prizes. Trust us… it’s for the best. Entering to win is easier than giving candy to a toddler. You’ll get entries automatically simply for tweeting, commenting, subscribing to our newsletter, and a few other things. There are no entry forms to fill out. No verification to copy/paste. No hassle. Just do what you’d normally do: tweet, comment, and post. Leave a Comment: Where would you cruise? In fact, you can get an entry just for leaving a comment on this blog post. Just scroll down a little ways, and let us know where you’ll go if you win the grand prize. Et voilà you’ve got your first entry. But wait! There’s (way, way, way) more! Be the first to hear about each new weekly prize, and find out right away when the next Winner’s Choice prize goes up for grabs. I mentioned at the beginning that we’ve been hard at work on some new awesomeness for you. If you’re interested in knowing more about that, take 60 seconds to fill out a form, and we’ll be in touch!